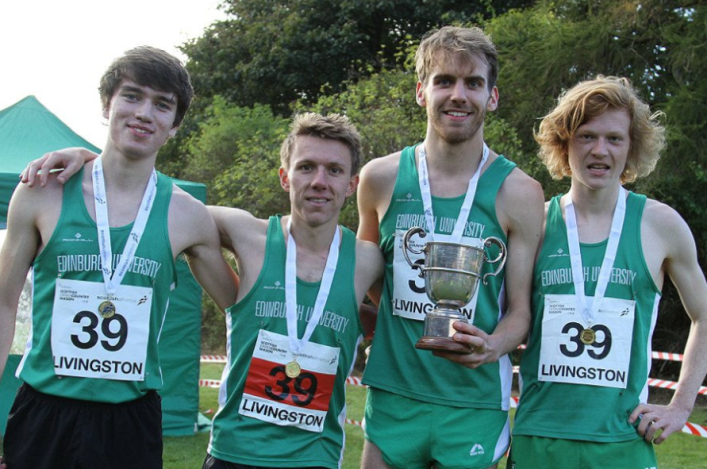 After 10 years of dominance as Men’s East XC Relay Champions, Central AC’s perennial title finally went to another club with Edinburgh University Hare and Hounds ending that long run at Livingston. Scott Stirling put the students in the lead on Lap One with the fastest time of the day 12.09 and they were never headed with their “B” team finishing in third place as holders Central this time took the silvers. Edinburgh University were last champions in 1967 – with Logan Rees, Michael Christoforou and Euan Gillham making up the winning team. The Men’s Masters title was retained by Corstorphine AAC with Edinburgh AC second and Corstorphine AAC “B” third. Central AC were the Women’s winners for the fifth year in a row – thanks to the efforts of Jenn Wetton, Fiona Thompson and Morag MacLarty – from Edinburgh University Hare and Hounds. Fife AC took home the bronze medals. The fastest lap of 13.51 was by Sarah Inglis of hosts Lothian Running Club, who made a fine job of staging the championships. The Women’s Masters champions were Edinburgh AC with Gala Harriers, last year’s champions, second this year. 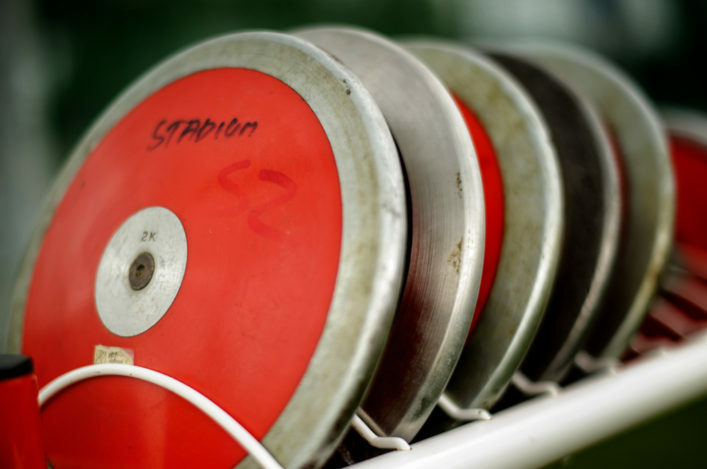 Corstorphine AAC were third to ensure that club went home with nine of their Masters athletes holding medals. 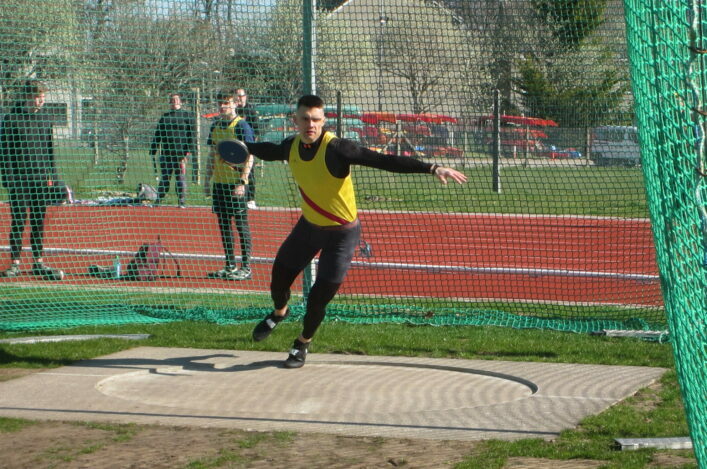 Edinburgh AC were the Young Males champions from Aberdeen AAC with Lasswade AAC third. It was a really tight race, with the three medal teams all home within nine seconds. And Edinburgh AC made it a double for Young Athletes by winning the Young Females title from Banchory Stonehaven AAC with Corstorphine AAC third. It was the first ever District relay medals for the Banchory club. Shettleston Harriers were firmly to the fore in the West district XC Relays at Kilmacolm – as the presence of local Olympian, Callum Hawkins, lifted the event as a whole. The Glasgow club took the Young Males title in fine style and then followed that up with success in the Senior Men’s, despite the considerable efforts of Hawkins which contributed to silver medals for Kilbarchan AAC. Yellow and blue were significant colours on the day, in fact, with Giffnock North AAC taking the golds and the bronzes in the Young Females race. Inverclyde AAC, host club for the event once again, did manage to break-up the Giffnock dominance with silver medals there. The golds went to Giffnock’s Isla Ward, Heather Barnes and Lynn McKenna. Shettleston were well-served by Gregor and Cameron Campbell in that Young Males race to allow Jamie Burns to lead them home. It was good to see Garscube Harriers on the podium there, silver medals due reward for hard work at that club in the past couple of years in reviving their youth section. Giffnock North took the bronzes. 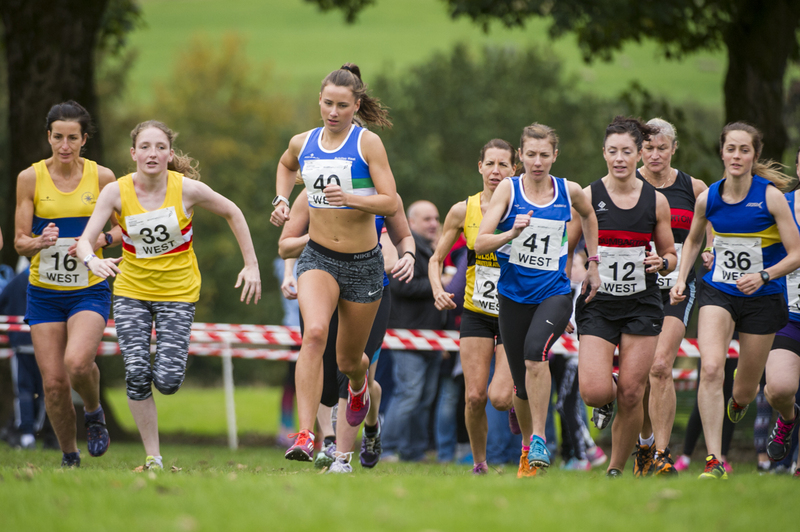 In the Senior Women’s race, it was Kilbarchan AAC who took the honours thanks to the efforts of Elspeth Curran, Kerry MacAngus and Jemma Reekie. Shettleston had to settle for second there while VP-Glasgow were third. Callum Hawkins was in ninth place when he took over on the second leg of the Senior Men’s race for Kilbarchan and a run of 11.08 for the 4K course took his club firmly into the lead. But Shettleston’s quartet of Paul Sorrie, Peter Avent, Alisdair McLeod and Tewolde Mengisteab was strong throughout and Mengisteab brought it home with the only other run under the 12-minute mark. Cambuslang Harriers took third place with both Giffnock, well-served by Grant Muir and Jack Walker, and VP-Glasgow having been higher up at earlier stages. Cambuslang exerted a dominance again in the Masters, with wins for both their women’s and men’s teams. *If you left a pair of Brooks spikes in the park on Saturday please contact Inverclyde AC’s Gerry Gaffney, who will bring them to Cumbernauld for return gerard.gaffney@ntlworld.com Thanks. 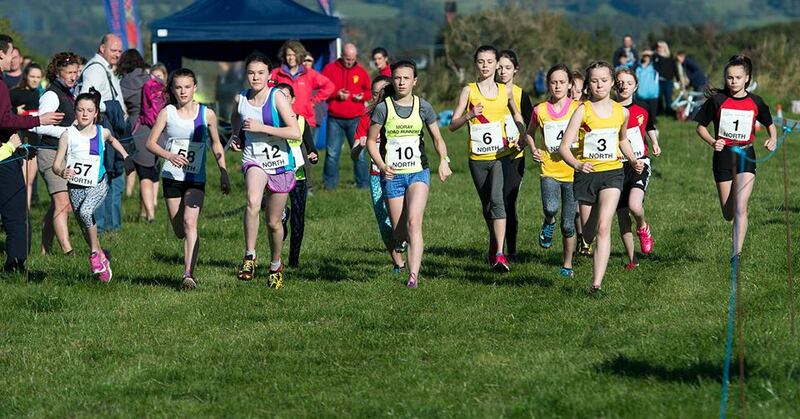 Inverness Harriers retained both male titles and regained the Senior Women’s at the North District cross country relay championships at Edderton near Dornoch where host club East Sutherland won the Young Females race. Stephen MacKay gave Inverness a big lead with 12:30 for the first 3.8K lap. Gordon Lennox (12:37), James Geddes (13:20) and Craig Campbell (12:34) confirmed victory by 70 seconds over Moray Roadrunners, for whom Kenny Wilson had the fastest time of 11:55. Highland Hillrunners were third. The two leading women’s teams played their cards in opposite orders and Sarah Liebnitz (14:12) built up a huge Inverness lead for Caroline Marwick (15:28) and Julie Wilson (16:27). But, in a thrilling finish, Scottish junior internationalist Anna MacFadyen of Forres ,with the fastest lap of 13:45, reduced that to just 21 seconds at the end. Highland Hill Runners were again third. Lucas Cairns, Luke Davidson and Tam Munro-White, fastest with 8:06, did the business for the Inverness Young Males while Alyth Gollan, Caroline Scott and Constance Nankivell were East Sutherland’s winning young females. 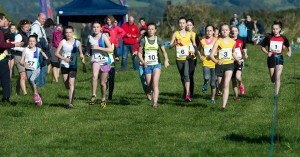 Grace Whelan (Moray Roadrunners) was fastest with 9:12. Orkney AAC made a return after many years when a men’s squad flew to Dornoch in team member Torquil Clyde‘s private plane and, after a 25-minute return flight, were home before most of the mainland competitors. Orkney AC go above and beyond !